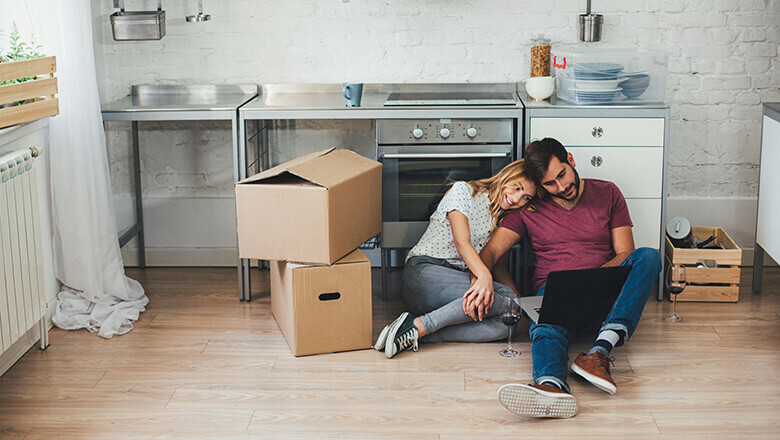 The process of applying for a mortgage loan can be complicated, and one of the first steps for a homebuyer is to decide which type of loan will best serve his or her needs. Some mortgage applicants are first-time homebuyers, seeking to buy a home as a primary residence, while others are seasoned residential homebuyers, with experience purchasing homes primarily for investment purposes in the form of rent revenue and asset appreciation. No matter what type of borrower you are, you should be familiar with the different types of mortgages. No matter what type of borrower you are, you should be familiar with the different types of mortgages available today. In this post, we’re going to compare 6 different types of mortgage loans and the advantages and disadvantages of each. Fixed rate mortgage loans are exactly what they sound like: the interest rate is fixed for the entire life of the loan, locking a borrower into a set interest rate. The length of fixed rate loans can vary, but two of the most common timeframes are 15 and 30 years. One advantage of this type of loan is that the monthly payment is fixed for the entire term, which can make budgeting predictable and therefore easier. However, one downside is that if you take out a loan when interest rates are high, you’re locked into that higher rate for the entire term of the loan. If you have high fixed rate loans in a low interest rate environment, you may be able to refinance your mortgage after once interest rates drop. Of course, there is no guarantee you will be able to refinance in the future. Adjustable rate mortgage (ARM) loans have an interest rate that changes throughout the life of the loan as interest rates fluctuate. ARMs generally have an initial fixed-rate period of between 5 and 10 years, in which the interest rate is fixed. After the fixed-rate period, the rate switches to variable. The variable rate is typically set based on a benchmark index rate that varies based on market conditions. During the fixed-rate period, the interest rate is usually lower than the interest rate on a traditional fixed-rate loan. A conventional loan is a mortgage loan originated by a bank or private lender, and is not backed or insured by the government. Banks typically look at credit scores and debt-to-income ratio in evaluating conventional loan applications. Down payments (up-front cash) are usually required when taking out a conventional mortgage. Minimum down payments are typically 5%, but many borrowers choose to pay more in cash up-front in order to decrease the size of the remaining mortgage. Private mortgage insurance (PMI) is generally required when the down payment is less than 20%. For home buyers looking for more flexible lending standards, government-backed loans such as Federal Housing Administration (FHA) loans and Department of Veterans Affairs (VA) loans for veterans can be appealing options. FHA loans are not directly issued from the government; certain lenders can issue FHA loans on behalf of the government and the Federal Housing Administration insures the loans. With flexible lending standards, qualifying for an FHA loan is often less difficult than qualifying for a conventional mortgage. As such, FHA mortgages can be a great choice for borrowers with less than stellar credit score or a high debt-to-income ratio. However, homebuyers with an FHA loan typically are required to take out mortgage insurance, which can carry high premiums. VA mortgages are designed to help veterans purchase homes with no down payment. VA loans are provided by banks and private lenders. Similar to FHA loans, the government doesn’t directly issue these loans, instead they are processed by banks or private lenders and guaranteed by the VA. While VA loans are attractive because they typically require no down payment, they usually have lower limits on loan amounts. Veterans, active-duty service members, and surviving spouses are eligible for VA mortgage loans. A conforming loan meets certain guidelines established by the Federal Housing Finance Agency (Fannie Mae and Freddie Mac). The amount a buyer can borrow is limited, and that limit changes annually, based on federal guidelines. Conforming loans offer better interest rates and lower fees than non-conforming loans. The conforming loan limit in 2016 is $417,000, but there are certain adjustments for those who live in high-cost real estate markets. Conforming loans offer better interest rates and lower fees than non-conforming loans. There are several different types of non-conforming loans. The most common is a jumbo loan. A jumbo loan is a loan that exceeds the conforming loan limit. Due to the size of the loan, the requirements to qualify are more stringent. Interest rates can also be higher for jumbo loans because they are considered more risky to the lender. Other types of non-conforming loans exist for borrowers with poor credit, borrowers who have recently filed for bankruptcy or borrowers with a high debt-to-income ratio. Each homebuyer is unique, so taking the time to fully understand the process of selecting the right mortgage is a critical first step. To learn more about how to select the right mortgage, check SoFi’s Home Buyer’s Guide.